Many adults are unhappy with the appearance of their smiles, yet they often think that since they are adults there is nothing they can do about it. Gold Hill Dentistry offers different cosmetic dental procedures in order to transform patients’ smiles with our state of the art technology and warm, relaxing atmosphere. While many people only think of braces as a means of transforming a smile, Gold Hill Dentistry offers a full range of quality cosmetic dental services. At Gold Hill Dentistry, we have the expertise to transform your smile into your best asset. Broken, chipped, misaligned, stained, and unattractive teeth can detract from your appearance and have a negative impact on your social and professional life. 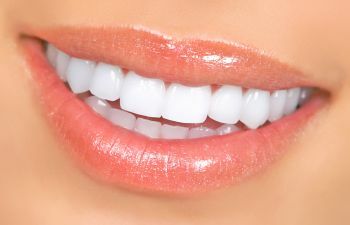 The most popular dental cosmetic procedures that we offer are Porcelain Veneers, Teeth Whitening, and replacing metal fillings with Tooth Colored Fillings. Dr. Kavi Sagunarthy and Dr. Jennifer Mokris lead our practice as highly skilled cosmetic dentists, and they both work hard to find the perfect balance between beauty and function for all of those who desire to cosmetically enhance their smiles. At Gold Hill Dentistry, we use the latest technology available to help patients aesthetically enhance their smiles. Whether you are looking to brighten your smile with teeth whitening or you desire to have a full mouth makeover, you can trust Gold Hill Dentistry to help you achieve your perfect smile. Contact our dental practice today to schedule an appointment. We look forward to partnering with you as your cosmetic dental specialists.